“This is Bob Hope patting me on the head, with my brothers Patrick and Shaun, when we were on his show in 1972 or ’73,” says Ryan Cassidy. “I still remember the day many years later when I ran into him coming out of the Starbucks next to Bob’s Big Boy.” Hope “suddenly came alive” after Cassidy introduced himself as Shirley Jones’ son, saying, “Oh, I love your mother! How are you doing?” and the two talked for a while. “That was the last time I saw him, and it was so special,” Cassidy adds. Photo from the collection of Ryan Cassidy. 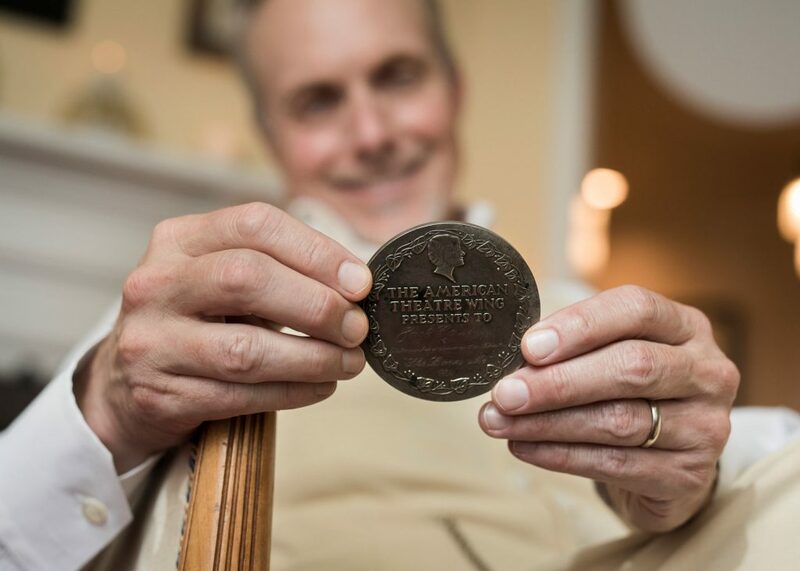 Ryan Cassidy’s Toluca Woods home is filled with history. Some of it came naturally to him, as the son of famed actor–singers Shirley Jones and Jack Cassidy, the half-brother of pop superstar David Cassidy, and brother of actors Shaun and Patrick Cassidy. Mementos of his family’s legacy are displayed throughout the house, including his father’s Tony Award for She Loves Me and a photo of Bob Hope presenting his mother with her Academy Award for Elmer Gantry. “I just love the past. 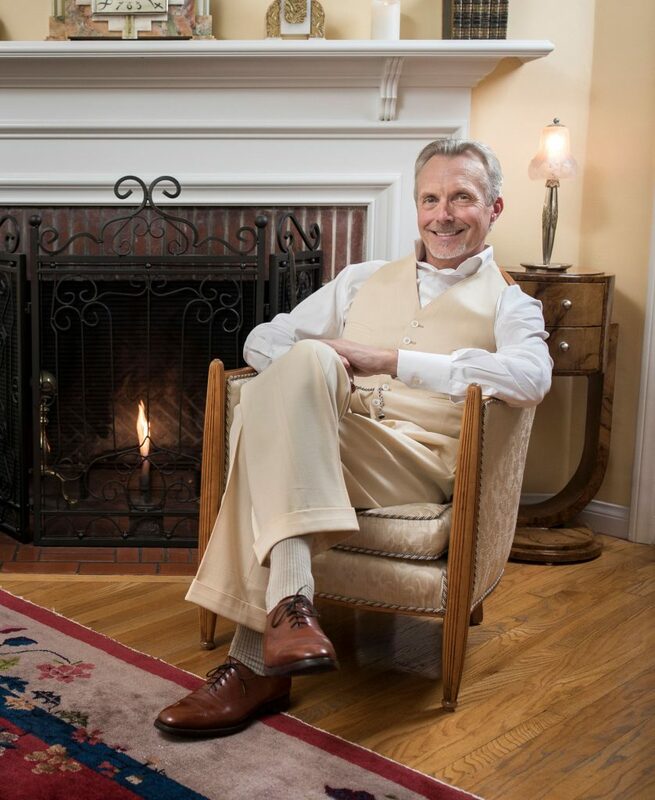 I was born an old soul,” says Ryan Cassidy, whose passion for history is displayed throughout his home and even in his clothing. 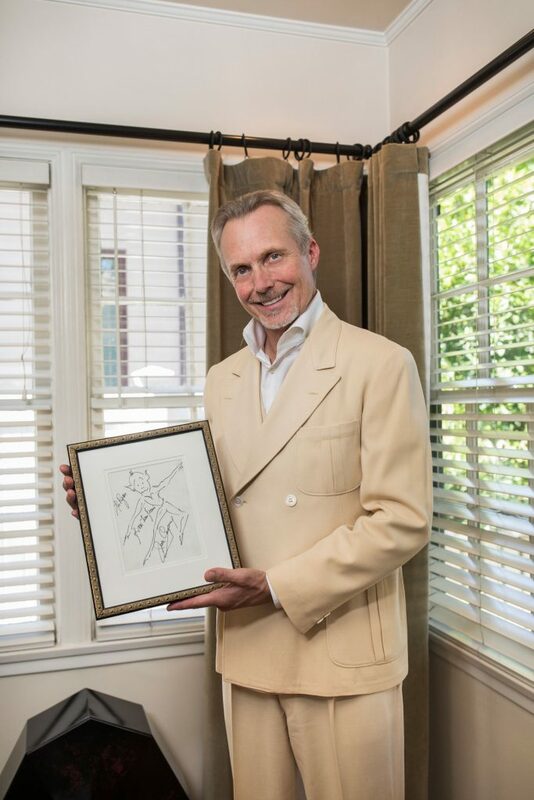 Among his many collections are about 60 suits from the 1920s and ’30s, plus hats, shoes, ties and other accessories, which he wears regularly. Here, he models one from around 1936. “Every time I put one on, I feel different, I sit differently,” he says. Photo by Daniel Deitch. This mission extends beyond his personal collection; Cassidy also serves as board chair of archives and exhibits for the Los Angeles Police Museum. “I love teaching through objects, showing how things looked, how they were made, how they tell us about a different time,” he says. TREASURED MEMORY This sketch by James Cagney is a memento of a special afternoon they shared when Cassidy was a child. “That time I spent with Cagney was a big deal,” he says. Cassidy hopes to publish a children’s book about the experience and the lasting impression it made on him. “He was amazing. 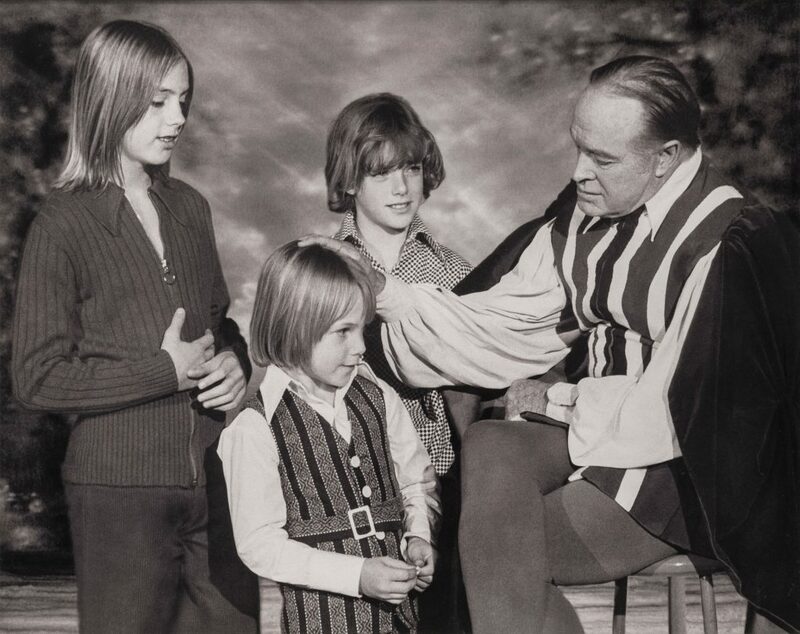 He was great with kids. He was very warm, very real.” Photo by Daniel Deitch. 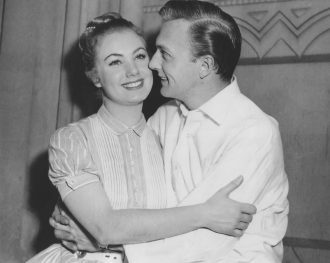 Shirley Jones and Jack Cassidy. Photo from the collection of Ryan Cassidy. 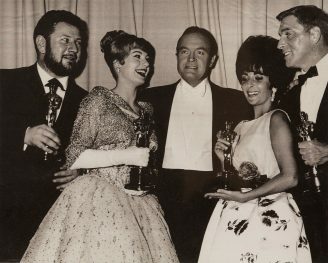 Best Supporting Actor Peter Ustinov, Best Supporting Actress Shirley Jones, host Bob Hope, Best Actress Elizabeth Taylor and Best Actor Burt Lancaster at the 33rd Academy Awards ceremony in 1961. Photo from the collection of Ryan Cassidy. “I think that people who want to get into historical collecting should first decide what their budget is, because there are levels at the beginning and at the higher end,” Cassidy advises. “I think you should investigate the availability of it. You should look into condition, which is always the most important thing with collecting — if you buy something that’s pristine, you’re always going to have a better return on your investment, especially in things like cars and old weapons. My suggestion is that whatever you decide to collect, explore it first and learn about what’s out there. Find out where the shows are, where you can go and actually see it. Be careful about anything you buy online. Just educate yourself as much as you can on it — you can really learn a lot on collector website forums. A lot of things can be copied, so you have to educate yourself so you don’t get burned by buying something and then finding out later that it’s a replica. I’ve had that happen to me many, many times; every collector has. You just have to learn, and then hope that you don’t let it happen too many times, because that can be expensive. Ryan Cassidy displays the Tony Award that his father, Jack, won for his performance in the musical She Loves Me in 1964. Photo by Daniel Deitch. 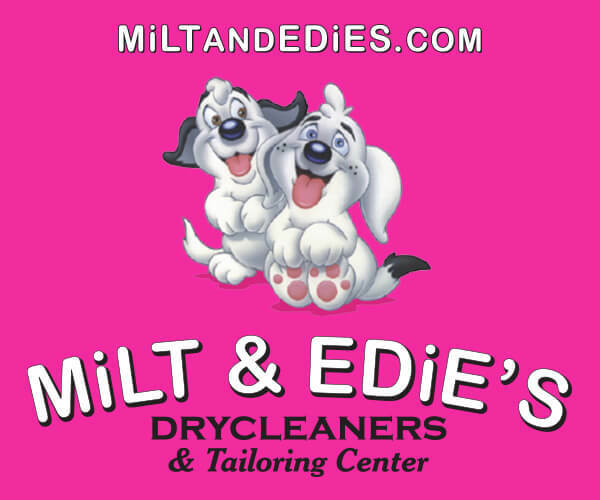 Read “Three Stooges Walk Into a Bar in Toluca Lake…” for Cassidy’s reminiscences about the Money Tree, the bygone local watering hole once owned by members of the Three Stooges.